Senator Simon Dieuseul Desras proves to international community exactly why elections cannot be held. He also proves the complete and total futility of assuming that the Haitian Chamber of Deputies, or Senate contributes anything of value to the actual function of our Nation. And he writes the requests at a desk situated in a house in Fermathe that he purchased with $300,000 given to him by the Martelly/Lamothe government, at an earlier date. Don’t get upset, folks, without cash payments Desras would do absolutely nothing to assist in the function of government. That’s the way the Parliament runs in Haiti. It is a criminal Mafia. Forget about doing anything for the poor people who have placed them in power. The Parliamentarians are there to enhance their own personal financial situation. Rarely does an “elected” representative visit his constituents. Desras is violating the Constitution with his letters to Chile, Brazil, and others, requesting their military intervention. He asks that demonstrator be protected from “beating by police”…. And we have seen no evidence of the claimed violence. 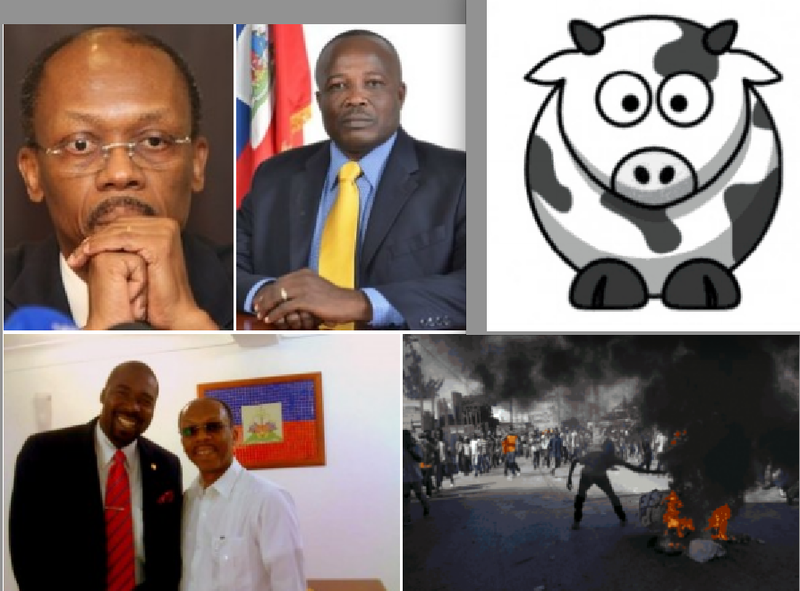 To date, the violence has been the direct result of efforts by the Aristide, Lavalas, Manigat supporters, paid to demonstrate by this group that has distributed guns and dollars to initiate violence. 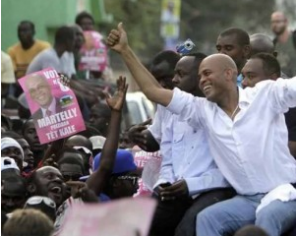 Since the Martelly/Lamothe team refuses to enrich Senator Desras further, he has accepted the financial support of Aristide, and his fellow anti-government, anti-Haiti gathering of chimere and thieves. Let’s give Haiti and its 9,000,000 a chance and see Desras, and his fellow elected criminals for what they are. CRIMINALS WITH IMMUNITY FROM PROSECUTION GUARANTEED BY A FLAWED CONSTITUTION!! !